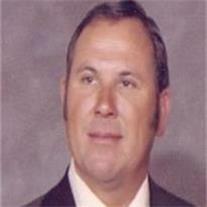 Berni Dorn Harrison, a long time resident of Alamogordo, passed away at the age of 84 on May 7th 2012 in Mesa, AZ. Berni was born on December 4, 1927 to Mary Evans Harrison and Berni Dorn Harrison Sr. in Phoenix, AZ. He is survived by his wife of 60 years, JoAnne, and their four children, Jeffrey Dorn and wife Suzanne of Mesa, AZ, Don Edward and partner Michael of Brooklyn, NY, Julie Ann and husband Paul of Mesa, AZ and Evan Joseph and his wife Connie of Chandler, AZ, eight grandchildren and one great grandchild. After honorably serving his country in the U.S. Army during the Korean War, he resumed his employment with the U.S. Coast and Geodetic Survey, where he was a surveyor, a project coordinator and chief of field operations. He worked seasonally in Alaska and the Hawaiian Islands. His family accompanied him wherever his career took him, including throughout the United States and to the continent of Africa. As a government employee on loan to the Department of State, he spent three and a half years in Ethiopia where the area of the Blue Nile River Basin was surveyed for the Emperor Haile Sellasie. Berni was transferred to White Sands Missile Range in 1964, and the family happily settled in Alamogordo. He retired from Civil Service in 1981 to manage his local business interests. A memorial service will be held in Mesa.